City Football Academy on March 20, 2018 in Manchester, England. 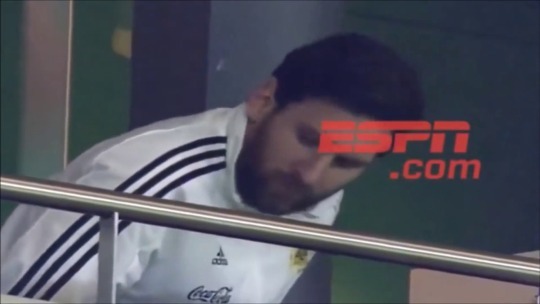 Before the friendly against Italy on March 23rd/2018, Lionel Messi spoke to the press, admitting that he’s been struggling with a hamstring discomfort “for quite some time”. On the last day I felt the discomfort and decided that it is better to clean everything up [with] what’s coming. [Against Italy], I wanted to play, but there is still a long way to go until the World Cup and there are also important things to play with the club. I hope I can be good to play [against Spain]–I have a few more days to rest and to continue treating the hamstring.